Even though the Yom Ha’atzmaut national holiday is a week behind us, I wanted to share a dynamic and insightful Torah teaching from the towering religious figure named Rabbi Aharon Lichtenstein, who left this world April 20th. I believe it can shed light on the enormous power and blessings of living as a Jew in our beloved Holy Land. 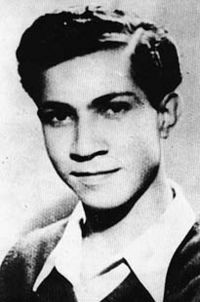 Rabbi Aharon Lichtenstein of blessed memory was born in Paris in 1933. Due to the aid of a non Jew, who went beyond the call of duty to help Jews escape to freedom, he and his family immigrated to America when he was 7 years old. Aharon was recognized as a child prodigy of traditional Torah learning even at this tender age. Prior to his bar mitzvah, he began to attend Yeshiva. After attending Yeshiva University where he earned a BA and received rabbinic ordination, he went on to Harvard University and received a PHD in English Literature. In 1971, he moved with his family to Jerusalem to become the revered head of a prestigious Zionist Yeshiva named Yeshivat Har Etzion, located in Gush Etzion. He became an authority on Jewish law, led the Yeshiva to great success, published books, was involved in the community and was awarded Israel’s greatest and highest award for Jewish literature, THE ISRAEL PRIZE, in May of 2014. He was a true visionary who inspired thousands upon thousands over the years of his leadership. He was called a true Torah giant not just for his vast Torah knowledge but for his love of G-d, Torah, his family, the students, the Holy Land , all Jews and in fact all of mankind. He was an enormous source of inspiration to a wide circle of Jewry from all walks of life and his passing at age 81, left a huge void in the Jewish world especially in Eretz Yisrael. His passing has created a huge void in both Yeshiva Har Etzion, as well as the world, but his Torah and good deeds live on and vibrate throughout the Holy Land and into eternity. For more information on Rabbi Aharon Lichtenstein, google his name or go to mosaicmagazine.com for a more in depth article. May the truth and beauty of his dynamic Torah article bring greater clarity about Eretz Ha’Kodesh. His father Terach and Avraham had in mind from the day that he was saved to go to the land of Canaan in order to distance themselves from the land of the Kasdim for fear of the king. For Haran was close to them, and they were all one people and one language, the Aramaic language being spoken in both places, and they wanted to go to a people who would not understand the language of that king and his people. This is the meaning of: “And they went out with them from Ur-Kasdim, to go into the land of Canaan; and they came to Haran” (Bereishit 11:31), where their families and forefathers had always lived, and they dwelt among them, and stayed there for many days. There Avraham was commanded to do what he had intended to do, to go to the land of Canaan. He left his father, who died there in Haran his country, for he went with his wife and with his nephew Lot to the land of Canaan. This is what the verse states: “And I took your father Avraham, from the other side of the river, and led him through the whole land of Canaan” (Yehoshua 24:3). For he was commanded about this on the other side of the river, and it is from there that He took him and led him through the whole land of Canaan. Avraham’s aliya began in the same way as did Herzl’s Zionist movement. There is persecution because of Jewish identity and because of adherence to God, based on faith and values, and Avraham feels the need to escape. His starting point is not the attraction and the vision of the land of Israel, but rather escape from Ur-Kasdim. Avraham makes aliya from a country of distress, from a vale of tears. But while Avraham is in Haran, he is commanded “to do what he had intended to do, to go to the land of Canaan.” The spirit of God breathes life into his pragmatic plan. Here is the intersection between Avraham’s plan and God’s providential plan to plant him in the land of Israel. Avraham’s starting point is to run away, to survive, to exist, and this plan becomes the foundation for fulfilling the will of God. Avraham’s vision-less plan takes on flesh and bones, and the dimension of actualizing God’s will is added to it, both on the individual and the national levels. Rabbi Joseph B. Soloveitchik distinguishes between two covenants that exist between God and the Jewish people – the covenant of fate and the covenant of destiny. Avraham’s initial plan and departure from Ur-Kasdim fall into the framework of the covenant of fate. The command of “Lekh Lekha” turns the framework of fate into a framework of destiny; it turns the place that was meant to serve as a place of refuge into God’s inheritance. We occasionally hear harsh criticism of the State of Israel voiced by some in the religious community. They claim that the state lacks a moral vision, that it is devoid of spirituality and is guided exclusively by a drive for power. A country was established that merely meets the ordinary needs met by all other countries. A state that we would have expected to be a state of vision became a state of refugees, a political asylum. Classical Zionism indeed had the same aspiration as did Avraham when he started out – to escape from Ur-Kasdim, to provide a political refuge for the Jews, to reach a place where it would be possible to exist, to grow stronger, and to fashion ourselves into a nation. It would be absurd to say that this goal is not legitimate. Avraham intuitively felt that the land of Canaan is God’s inheritance, and therefore he preferred it to all other places and set his eyes toward it when he ran away from Ur-Kasdim. While there is no comparison between the faith of Avraham and the faith (or lack of faith) of the early Zionist ideologues and dreamers, no Jew, after the command of Lekh Lekha, could think about the land of Israel as anything but a special country, the land of God’s inheritance. This feeling penetrates deeply even within secular Zionism. We, believers who are descendants of believers, must understand that while it is possible that Herzl and those who followed in his footsteps viewed the land of Israel in the same way that Avraham did at the outset, there is still no doubt that their hearts throbbed with a certain sense of fulfillment of a prophetic vision, of being connected to the land of Israel as God’s inheritance. But even one who is not prepared to accept this must understand that, at the very least, even if the builders of Israel viewed the land exclusively in the framework of the covenant of fate, God adds to this framework the covenant of destiny. We stand in constant tension between these two factors, between the consciousness that we are in need of a refuge and an assurance of our existence, and the full adherence to the vision to which God dedicated the command: “Get you out of your country, and from your kindred, and from your father’s house, to the land that I will show you.” We must maintain our presence in the Holy Land based on the consciousness that it is God’s inheritance, and based on a sense of mission. But at the same time, we must not ignore the other dimension – the need for a land of refuge and survival. It is clear that after the command, after the land is already “the land that I will show you,” we are incapable of viewing it in a completely secular fashion that distinguishes between religion and destiny. From time to time we need to be reminded that we must not veer from the boundaries of this dialectic, neither toward excessive use of force, nor to excessive spirituality. We need a reminder that will restore for us the proper proportions and perspective. Yom HaAtzma’ut restores for us with full force and depth the consciousness that here, in God’s inheritance, we can fulfill visions, but also exist; we can realize dreams but also live. Fireworks have been used for hundreds of years for cultural and religious events. In fact the earliest documented use dates back to 7th century China, where they were invented. Who is not moved by the spectacle of the glittering, shimmering lights of a fireworks display with its multi-colored bursts of flames? What Jew is not moved by the Fireworks that represent the celebration of our people returning to sovereignty in our ancient homeland? 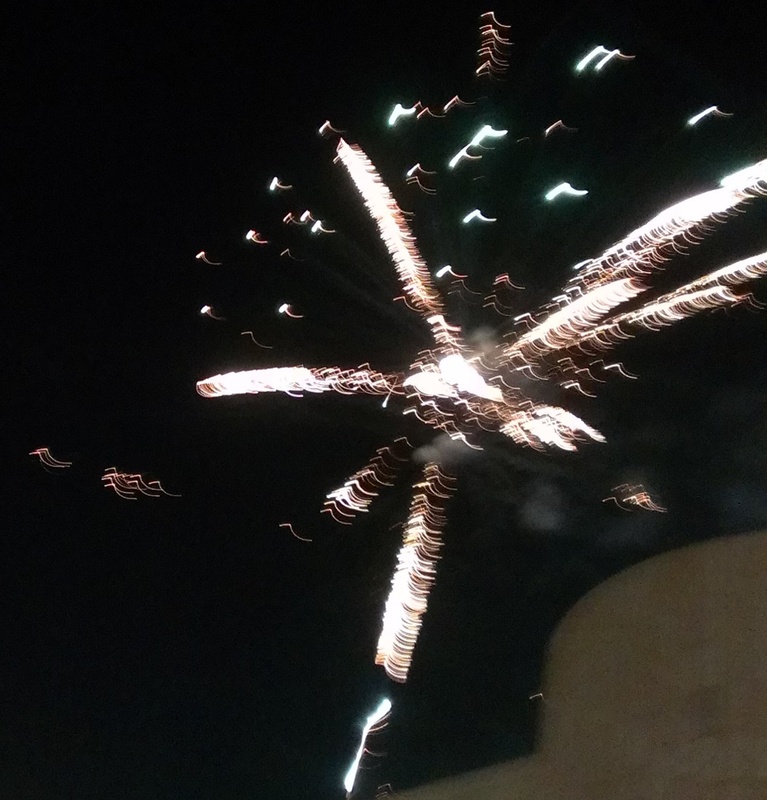 Aerial Fireworks are an extraordinary and expressive way to represent a historical event of epic biblical proportion: the miracle of our rising from the ashes of the Holocaust to build the 3rd commonwealth of our Jewish nation in the land of our Biblical inheritance. Through this miracle G-d showed us HIS compassion and the manifestation of His presence in our time. For me personally, each flicker of light and sparkle of color represents a Jewish soul whose flame was snuffed out before its time. The soul did not get to shimmer and sparkle in the way it normally would have. But we, THE JEWISH NATION, carry the memory of these souls in our collective consciousness always and forever. The precious holiday of Yom Ha’atzmaut (Israel Independence Day) brings their memory to the forefront of our consciousness and allows us to reflect upon their self-sacrifice in a powerful way. Beautiful fireworks are one of those ways! 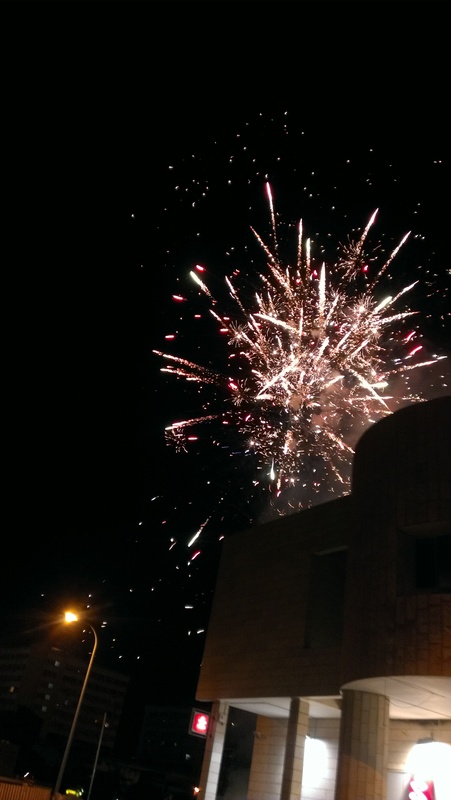 I am flushed with pride, as I stand amidst the Jewish nation in our homeland savoring and delighting in all the ceremonies and especially the fireworks. They are magical! I engage my imagination as each burst of light explodes and then cascades its sparks of light down to the ground. From heaven down to earth they seem to fall and with their falling, I am aroused to rise up into my own personal strength in order to do justice to the memory of those 25,664 souls and all they fought for. And so the fireworks end, and I leave them with this parting thought; their soul flame and eternal memory will always burn in the hearts of the Jewish nation, as we continue to take pride in our identity and celebrate our miracles in these days at this time through the prism of the flickering fireworks of freedom. Yom HaAzmaut–Happy Independence Day Israel! Yom Haatzmaut: Israeli Independence Day. May 5-6, 2014. On 10 July 2008, I came home. For almost five years now, I have been privileged to live in the loving embrace of my own Bayit (home), my Place, my Land, with my People surrounding me all the time. Coming home is coming to family. Remember family gatherings? Everyone is so excited to see one another and then after a while, you can’t wait for the gathering to conclude? You begin to become impatient with one another as the walls of division that were erected by the years of separation start to come down and you are forced to relate to your family members directly, face-to-face, no falsehoods. Sometimes you can’t wait for everyone to go home! It can be a little like that here, when coming home. First there is the explosion of excitement from seeing your family after years, a lifetime, of separation. And then the euphoria starts to slip away, as you open your eyes and begin to build the deep bonds, everlasting kesherim, with your eternal family. “Ma zeh?” “how can you eat that stuff?” “what about picking up the trash?” “what’s with the pushing, where do you think you going to go?” “hey, I have a number, don’t you see me standing here?” And, so it goes. We push and shove each other, even yell at each other, but at the end of the day, there is never any doubt about who is your family and who is your friend. Chazal tell us that we are all one—the Jewish people—and that it is only our bodies that give us the false illusion of separation. Here, at home, there is no illusion of separation. We share everything together, as one, ish echad—simchas,tragedies, chaggim, vacations, past and future. After five years, I am still awed each day when I see that I am here, home, in the Land of my Fathers, my eternal inheritance from Borei Olam. And even after all this time, I am still presented with the most profound experiences to remind me of how blessed I am to be home. As you probably know, here in Eretz Israel, we blow a siren for 2 minutes to mark the entrance of our most profound days—Yom HaShoa, Yom HaZikaron and Yom Ha’atzmaut. This year, I was traveling from the Holy City of Tzfat to the Holy City of Tiveria, where I live, just before the start of Yom HaZikaron (Memorial Day). At precisely 8 pm, the siren blew, our bus pulled over to the side of the road, all passengers disembarked, including the driver (or got up from their seats), and stood outside. All along the road, you could see other travelers, out from their vehicles, standing in silence, in honor, in memory, in unity. Only here, at home, do we slip away from the false illusion of separation and feel the truth of oneness. Why wait for this experience? Come home now. We so very much miss you. Today the first of Iyar, 5773, we commemorate the yahrzeit of two heroic young men who gave their lives while fighting against the relentless Arab attacks on the Jewish residents of Israel, attacks that enabled by the British mandate betrayal of us during pre-state times. These two heroes were underground fighters for the Jewish cause who were sentenced to be hung on the gallows. Please take the time to read the words of Meir Feinstein to the British court in the attached Wikipedia article. It is, in my humble opinion one of the most powerful, soul stirring dramatic renderings of Jewish soul poetry I have ever read. I gain strength and determination from Meir’s words and thought you would too. They are of such truth and purity…rare and exquisite jewels of power and courage for us to feed upon. We need their inspiration today! They were only 20 years old when they were hung. Meir was wounded in the initial attack on the British and had his left hand amputated. Meir wanted to be a writer. He had plans for the future and a girl he loved. Moshe worked to support his family. They both came from a family of scholars. They died for us and for the future generations of Jews. The purpose of my sharing this today in addition to honoring their memory is to point out and remind us of the perilous journey of those who came before us to pave the way to allow us to live in Freedom. They did so with their Blood, Sweat, Tears and very LIVES. I believe that making ALiyah and living in our G-d given, Divine inheritance,(which is an extraordinary privilege), comes with a responsibility to become aware of those who have come before us, and the personal sacrifices they made to enable us to be here today. It is my hope that as a result of deeper awareness of the challenges, enormous sufferings and remarkable perseverance of those who came before us, it will allow us to put our own challenges into the proper perspective. The journey of Aliyah is not just a defining moment at the time we make the decision, but it continues to define us during the entire Aliyah unfolding through each and every challenge that arises. The real truth of Aliyah in my honest opinion is all about DEFINING YOURSELF OR RE-DEFINING YOURSELF. Who am I really right now, and who do I long to become? That’s the question for today. Moshe and Meir seemed to know so clearly who they were and what their lives were about. Their values were embedded in all their endeavors even unto the ultimate of their dying. When Moshe’s trial began, he sat and read the Bible the whole time. When he was asked if he pleaded guilty, he got up and said the following to the judges: “The Hebrew people see you as the enemy and a foreign ruler in its homeland. We, the people of Lehi, are fighting you in order to liberate our homeland. You will not frighten us by your hangings nor will you succeed to destroy us. My nation and all other subjugated nations will fight your empire until the end”. 90 minutes later, the judge read the verdict: You will be hung by the neck until you die. Moshe was prepared and repeated, “You will not frighten us by your hangings.” Then he sang Hatikva until he was carried out by the police when he cried out: “To the Yishuv—be strong and of good courage.” (“A Grenade Between Two Hearts” by Arye Naor.) 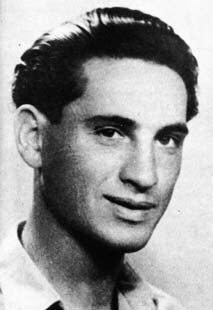 Meir was tried one week after Moshe. He carried the same strength and determination with him in his response to his jailers. It awes me and awakens a longing in me…. to be stronger, better.